Leonard Bernstein was one of twentieth-century music’s most successful and recognizable figures. In a career spanning five decades, he conducted many of the world’s leading orchestras and composed scores for landmark musicals such as West Side Story. With an iron self-belief, he negotiated risky and challenging musical situations that resulted in always passionate, if sometimes mixed, reviews. Published to coincide with the hundredth anniversary of Bernstein’s birth, this engaging new biography provides a concise overview of the life and work of a prodigiously talented, endlessly enthralling, and controversial musician. Drawing on more than thirty years of study, leading Bernstein scholar Paul R. Laird describes Bernstein’s work as a conductor, composer, music educator, and commentator, evaluating all of his major compositions. Laird also explores the impact of Bernstein’s complicated personal life on his professional work, including his homosexuality and many affairs with men, and his strong yet difficult marriage. Featuring original insights into Bernstein’s life and work, including information gleaned from a 1982 interview with Bernstein, Laird’s book is the ideal introduction to Bernstein’s eclectic musical style and complex character, showing how both fit within the larger world of twentieth-century music. 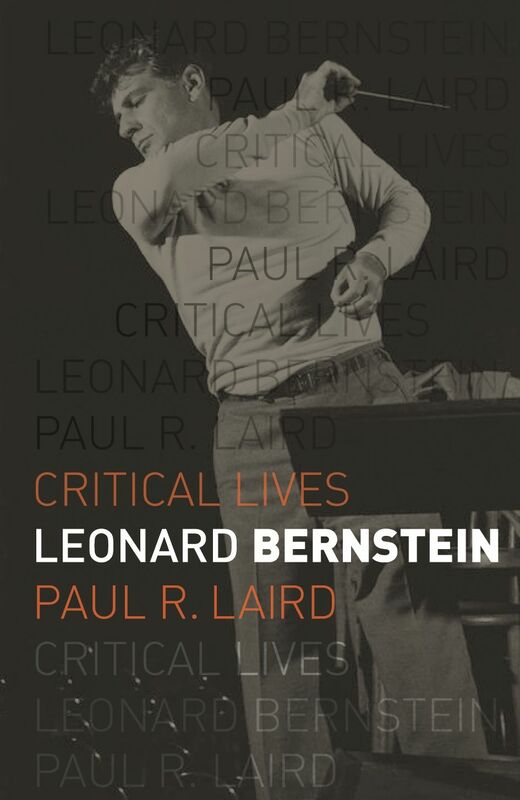 "In his excellent, new, concise biography, part of the Critical Lives series, Laird writes that 'the final chapter of Bernstein’s life is often a sad journey.' That final chapter or two is far and away the most documented part of Bernstein’s life. And with all the reissued or newly released recordings and videos, along with the recent memoirs, it is possible to take an unconventional view: Bernstein’s lasting greatness as a conductor and as a composer in his maturity." "Laird’s concise format . . . has the advantage of laying bare the chronological structure of Bernstein’s career. In ninety pages you quickly see how much he accomplished in the first forty years of his life."